Taking to the skies with a rocket strapped to your back is still a dangerous idea, despite how Hollywood typically portrays the stunt. 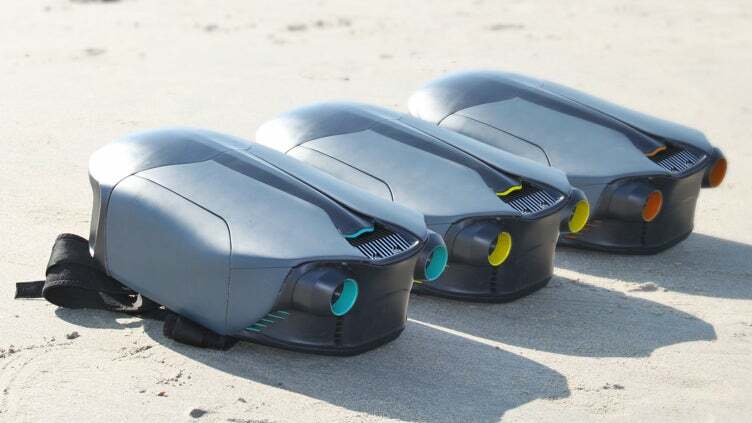 So a product design student at Loughborough University created a safer way to fly—under water—with a jetpack that can propel a swimmer at speeds of up to eight miles per hour. 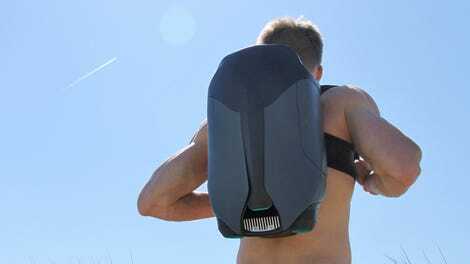 Archie O’Brien says it took him just a year to design and build a functional prototype of his CUDA jetpack, after learning that similar underwater propulsion devices can cost as much as a new car. Unless you’re commuting to and from work every day across a small lake, spending £12,000 on a personal submarine just isn’t worth it. O’Brien says he was able to realise his creation quickly thanks to the use of dozens of 3D-printed components, 45 in total, that could be quickly modified and reprinted as the engineering of the CUDA was continually refined. While the jetpack appears to function similar to a jet ski, sucking water in and then blasting it out the back at higher speeds, the CUDA instead uses a more compact propulsion system that O’Brien custom-designed, powered by a 3D-printed impeller reinforced with carbon fibre.